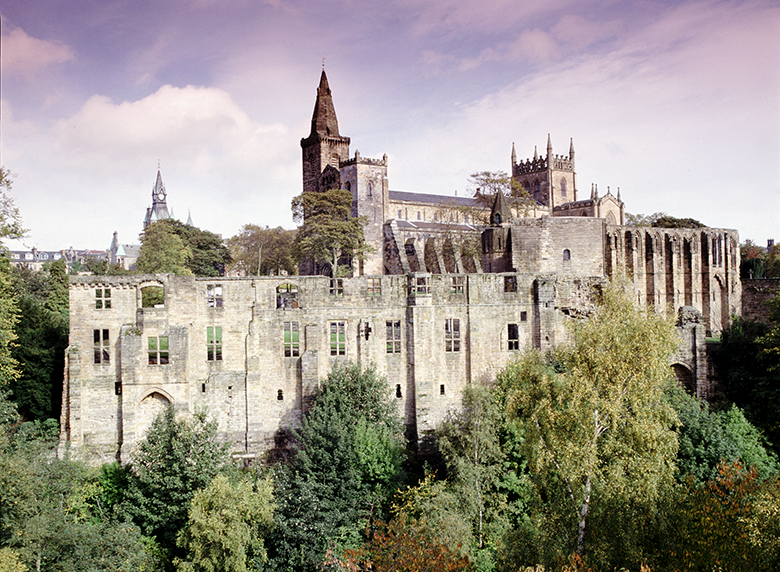 Would you take travel advice from Scotland’s best loved poet, Rabbie Burns? If so, read on as we follow in his illustrious footsteps! Robert Burns is Scotland’s most celebrated poet. Also known as Rabbie Burns, or The Bard, he was born in 1759, the son of a farmer. During his lifetime, he penned hundreds of songs and poems, and the anniversary of his birth is celebrated on 25 January. 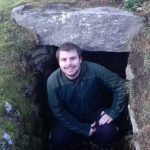 Much like today’s travel bloggers or enthusiastic Trip Advisor reviewers, Burns spent a fair bit of his time travelling and writing about bonnie Scotland. Burns’ exceptional talent meant that he became a celebrity within his short life. He also gained a reputation as a bit of a tear-away. It’s not hard to see why from some of these stories. He got up to all sorts of antics with his travelling companions – some of which would definitely be frowned upon today! Linlithgow, the appearance of rude, decayed idle grandeur – charmingly rural, retired situation — the old rough royal palace a tolerably fine, but melancholy ruin – sweetly situated on a small elevation on the brink of a Loch – shown the room where the beautiful injured Mary Queen of Scots was born – a pretty good old Gothic Church – the infamous stool of repentance standing, in the old Romish way, in a lofty situation. Here I mounted the cutting stool, or stool of repentance; while Burns from the pulpit addressed to me a ludicrous reproof and exhortation, parodied from that which had been delivered to himself in Ayrshire when he had mounted the seat of shame. It is reputed that Burns also kissed the tomb of Robert the Bruce. Unsurprisingly, Stirling Castle was also a stop off point for Robert Burns. 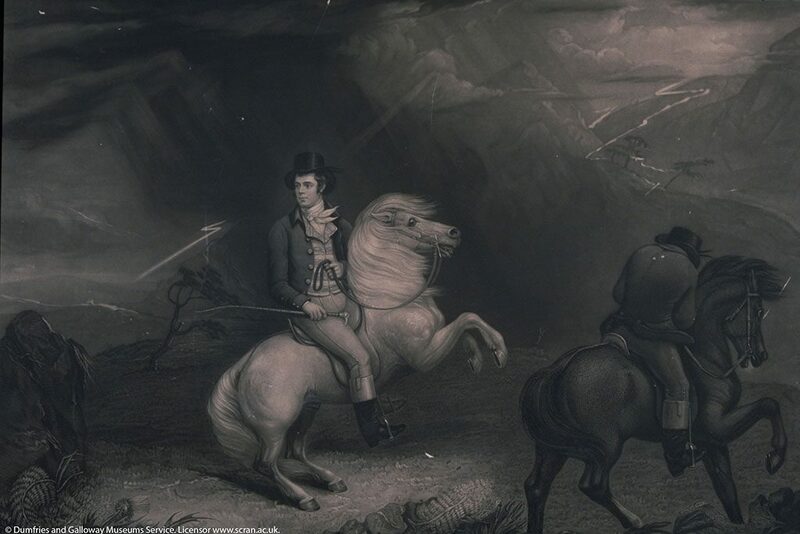 In 1787 he visited Stirling on his way to Inverness. It seems the visit stirred Burns’ Jacobite sympathies as he penned a poem known as the ‘Stirling Lines’. The injured Stuart line is gone. Who knows them best despise them most. The words were etched into the window of a local inn with a diamond pen. The pen had been gifted to him by the Earl of Glencairn, and there are quite a few examples of Burns using it to make his mark on the places he visited. There are several stories around the ‘Stirling Lines’. Some suggest that the lines had been written by his friend William Nicol and that Burns took responsibility for the controversial lines which criticised the Hanovarian rulers. It is also said that Burns returned a couple of months later to smash the window with a riding crop and destroy the contentious poem, but the lines had already been copied down and circulated. The palace has now been reroofed and its Renaissance splendour lavishly restored – you can see it on a visit to Stirling Castle. 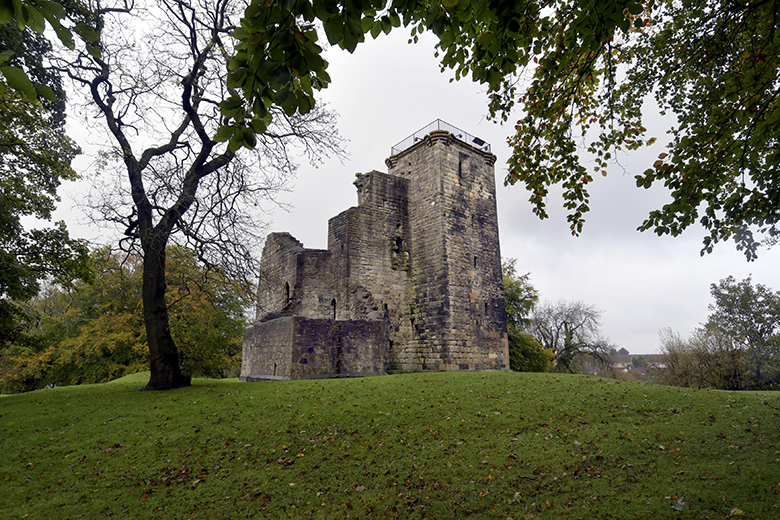 This castle, dating from the 1400s commands sweeping views of Glasgow. One of its most famous inhabitants was Henry Stuart, Lord Darnley – Mary Queen of Scots second husband. Legend has it that the couple were betrothed under a yew tree in the castle grounds. Burns is said to have carved his name onto a piece of wood from the very same yew tree. Did you know that Robert Burns was ‘knighted’ once? The reason he isn’t called Sir Robert today is that it wasn’t the king who knighted him, but Catherine Bruce, a descendent of Robert the Bruce. A staunch Jacobite, she claimed to have a much greater right to bestow a knighthood than ‘some people’. By that she meant the king, George IV. 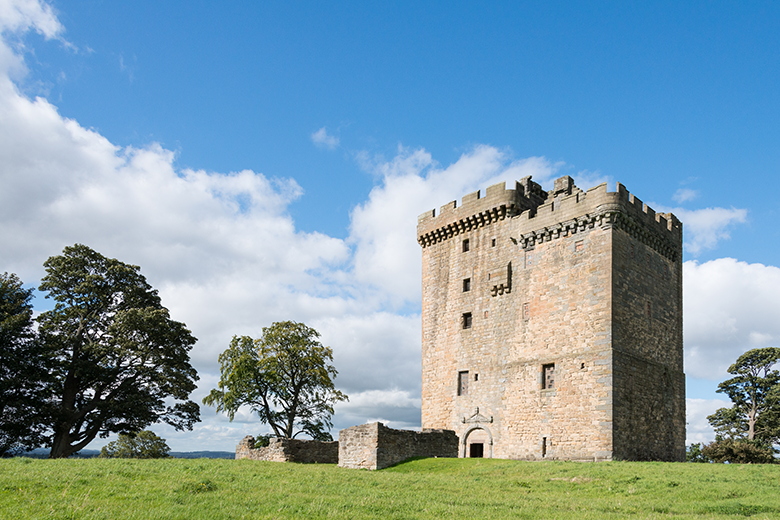 Lady Catherine knighted Burns at Clackmannan Tower in August 1787 with the sword of her illustrious ancestor. 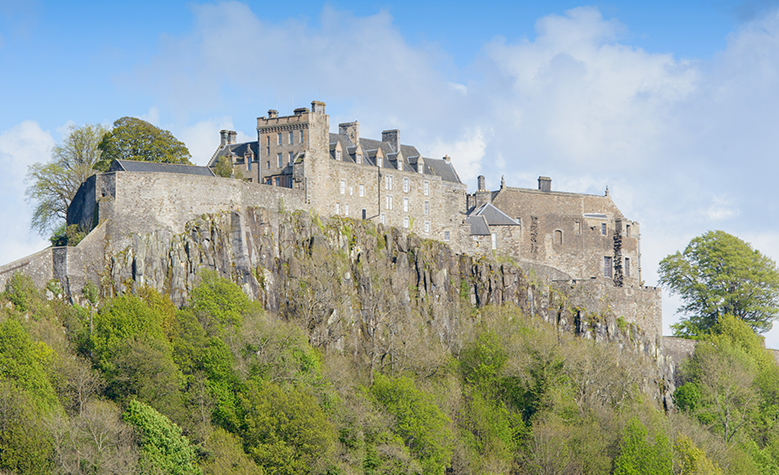 Home to royalty, stronghold of the Scottish crown jewels, and military fortress, Edinburgh Castle has been at the hub of the city for centuries. The Bard lived in Edinburgh for a spell in the 1780s, partly in the Lawnmarket, near the castle. 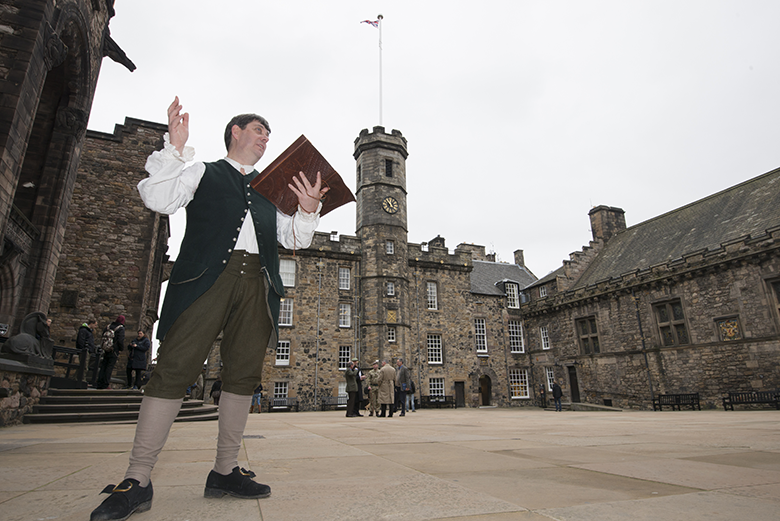 To commemorate Burns’ birthday, why not come to Edinburgh Castle’s Burns for Beginners event running from 27-30 January for a light introduction to the Bard?